Russia's armed forces have launched four ballistic missiles, including submarine based projectiles, during military exercises which also involved long-range bombers, the Russian Defense Ministry has said. The launches were conducted as part of large-scale war games involving Russia's strategic forces, a statement from the ministry said Thursday. 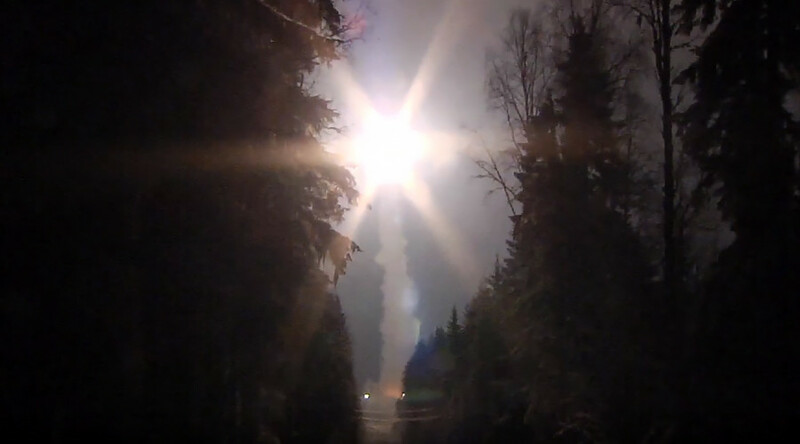 One of Russia’s most sophisticated weapons, a Topol-type ballistic missile hit a target on the Kura testing grounds after being launched from the Plesetsk cosmodrome in the country's northwest. Two submarines, one from the Northern Fleet and another from the Pacific Fleet fired a salvo of three missiles as crews honed their skills, the defense ministry added. Russian Tu-160, Tu-95MS and Tu-22M3 long-range strategic bombers also demonstrated their power, launching cruise missiles at targets placed at two test grounds in Russia and one in Kazakhstan. All the objectives of the exercises were successfully met, with all the test dummy targets destroyed, the ministry added. Last month, Russia successfully tested a Topol missile equipped with a new advanced warhead, meant to more effectively penetrate the missile defenses of a potential enemy. Two modern Yars intercontinental ballistic missiles were also tested last month. Yars is a modern variant of the Topol-M series, designed to replace the decades-old liquid-propellant UR-100N missiles. It features a solid propellant instead, and can carry multiple warheads.